Well, my pretty, if you can identify with the sentiment on this Wizard of Oz Witch 11 oz. 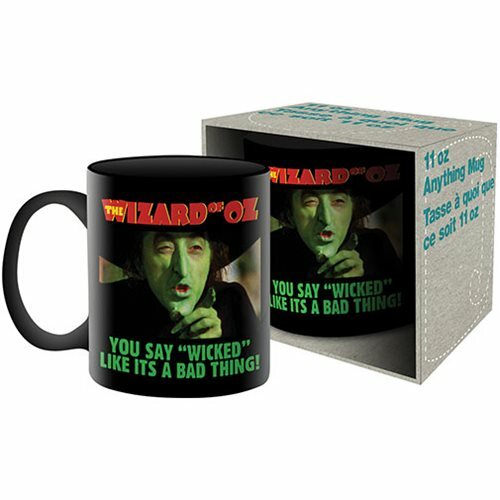 Mug featuring the Wicked Witch of the West and the words "You Say "Wicked" Like It's a Bad Thing!" you should order one for your desk. Dishwasher and microwave safe, the mug comes packaged in a display box.